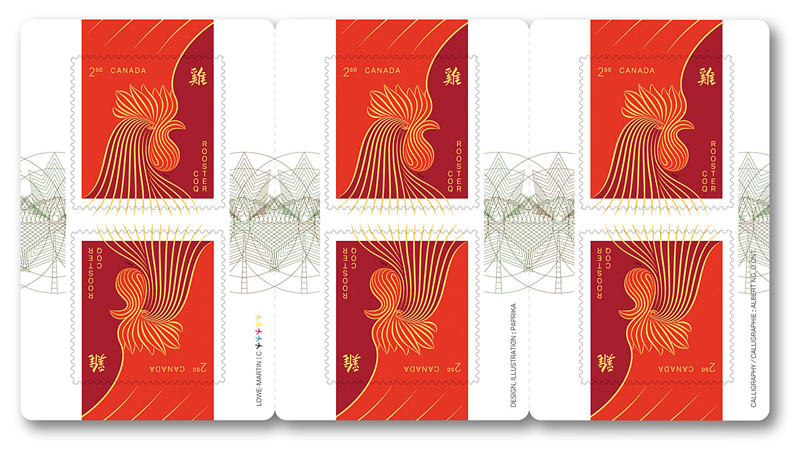 Honour the Year of the Rooster with this booklet of six international rate stamps. 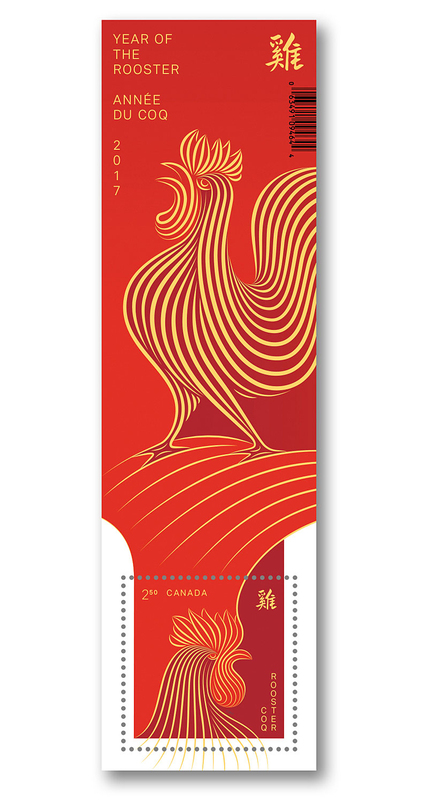 Designed by Paprika and featuring calligraphy by Order of Ontario recipient Albert Ng, the stamp features a closely-cropped profile of a rooster created out of wavy gold lines. 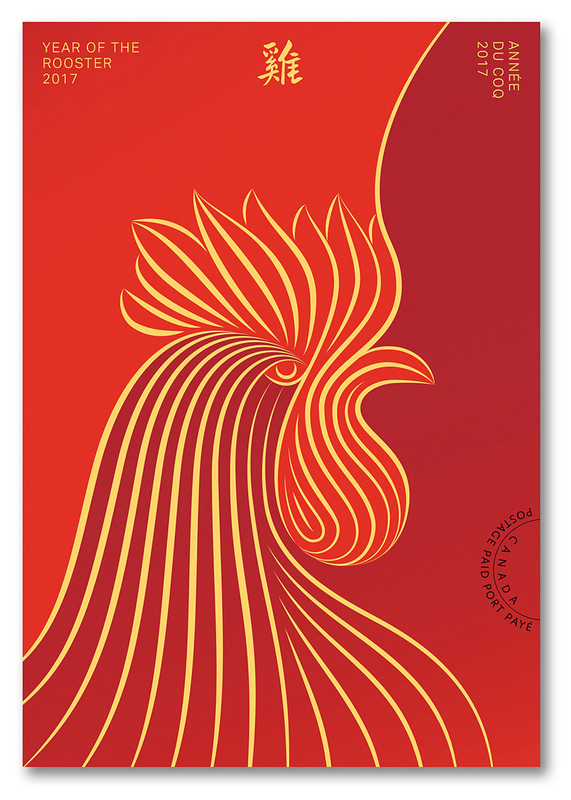 In the upper right corner is the Chinese character ji, meaning rooster. 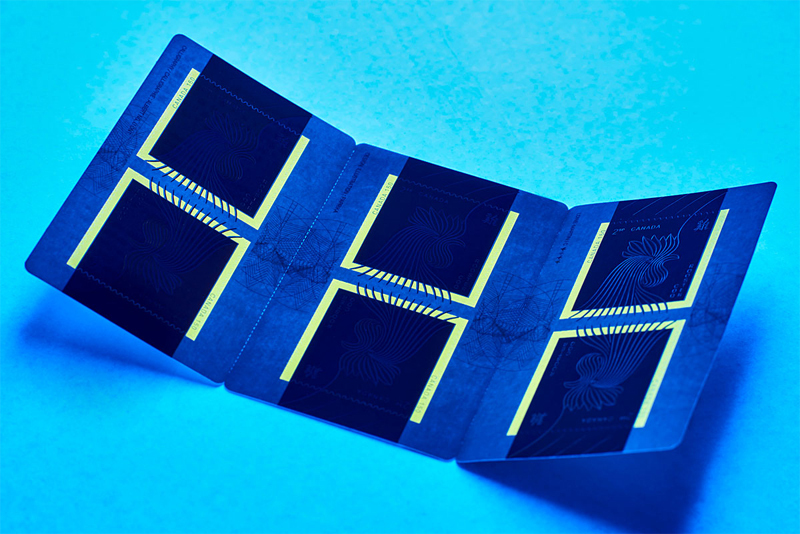 The word also appears vertically in both French and English in the lower right corner. 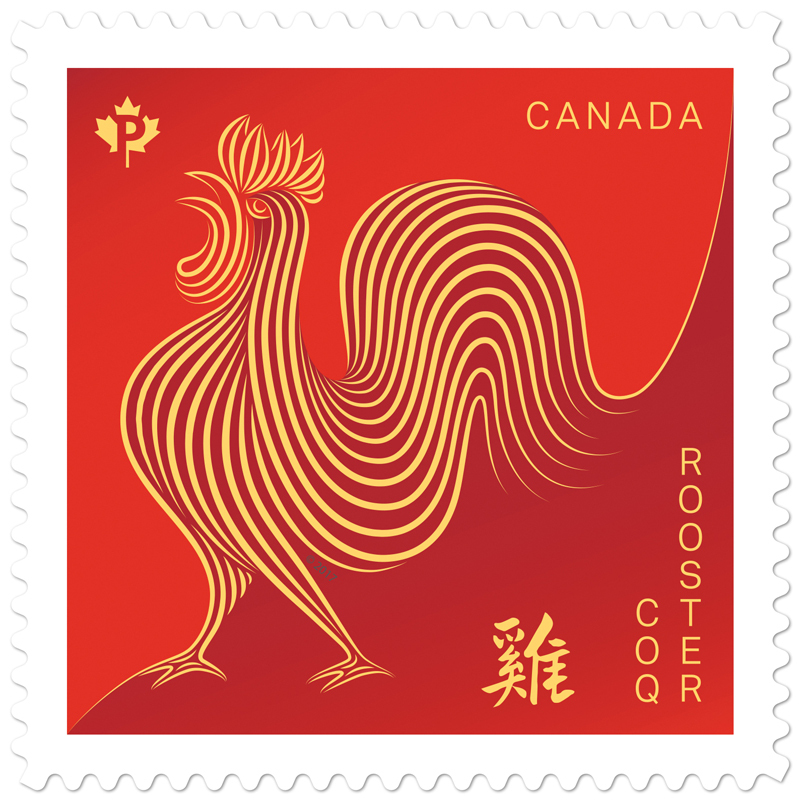 The Year of the Rooster begins on January 28, 2017 and runs until February 15, 2018. 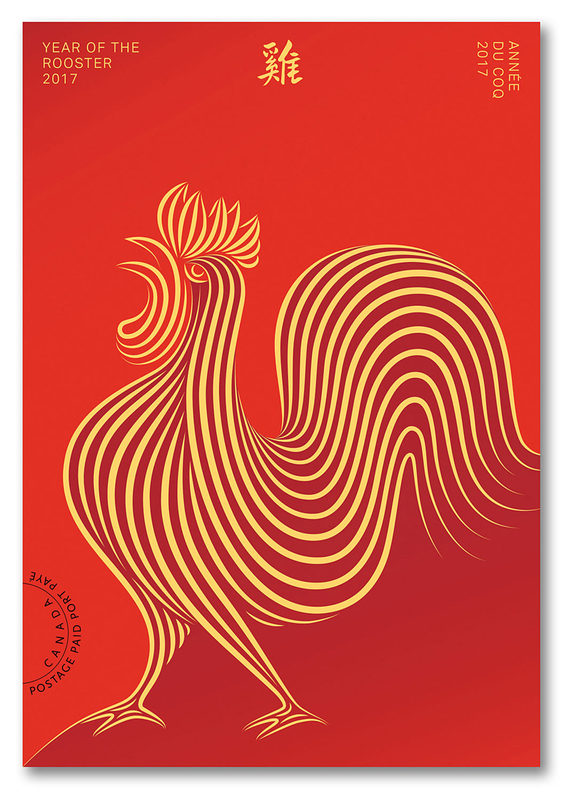 The tenth of 12 animals to appear in the Lunar Calendar, the Rooster is considered a sign of good fortune because its name is pronounced similarly to the word jí, meaning lucky or auspicious. Those born under this sign are known for being successful, courageous, confident, honest, hard-working, and punctual. 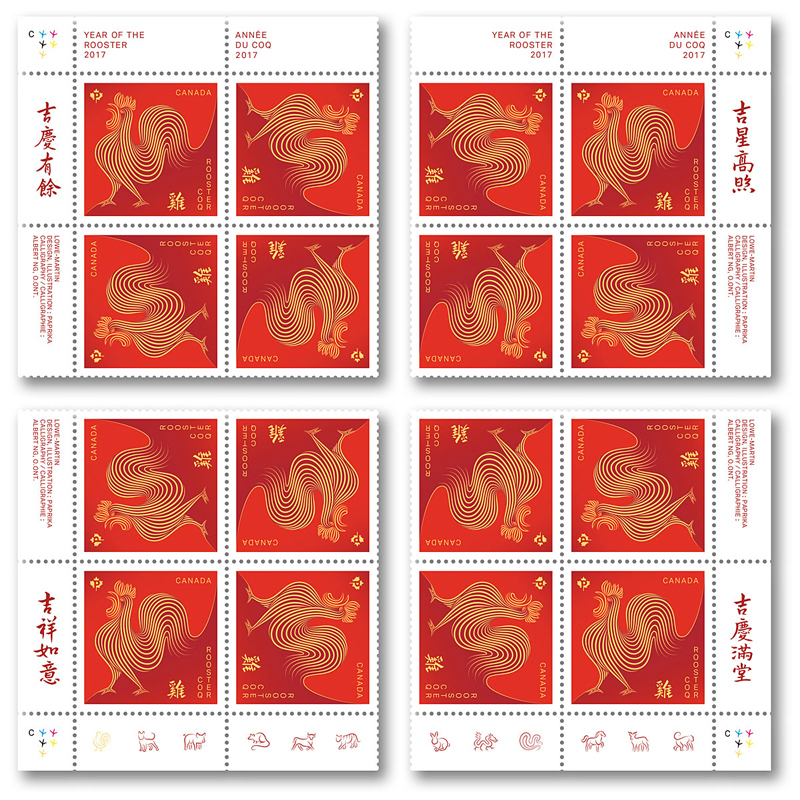 The sheet contains two international-rate stamps, one for each animal. 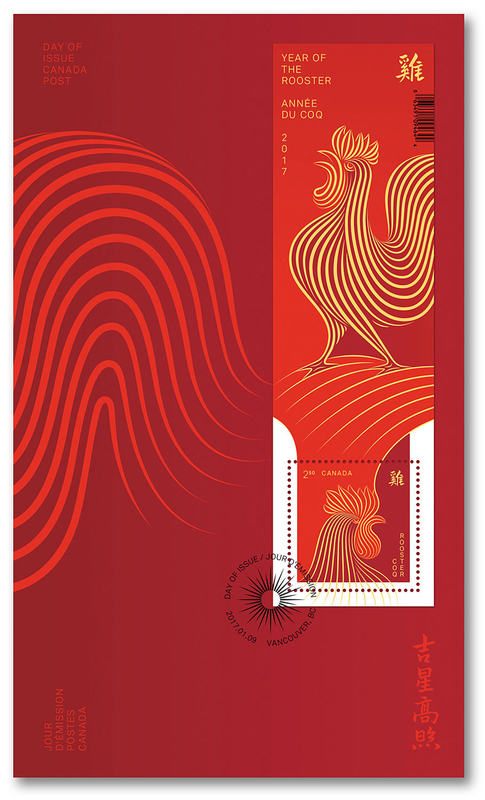 At the top is the rooster stamp, depicting a closely-cropped profile of a rooster created out of wavy gold lines. 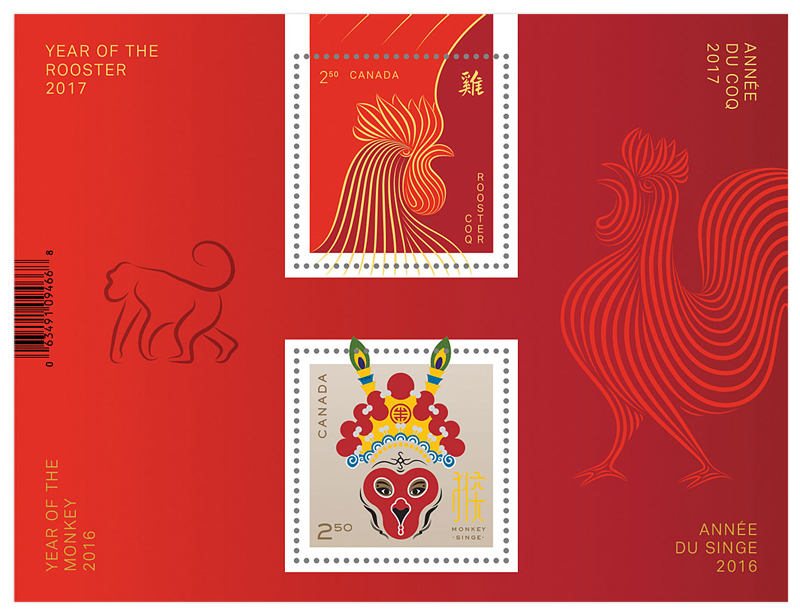 Below it, the monkey stamp image is inspired by Sun Wukong, or Monkey King, a central character from the 16th century Chinese novel Journey to the West. 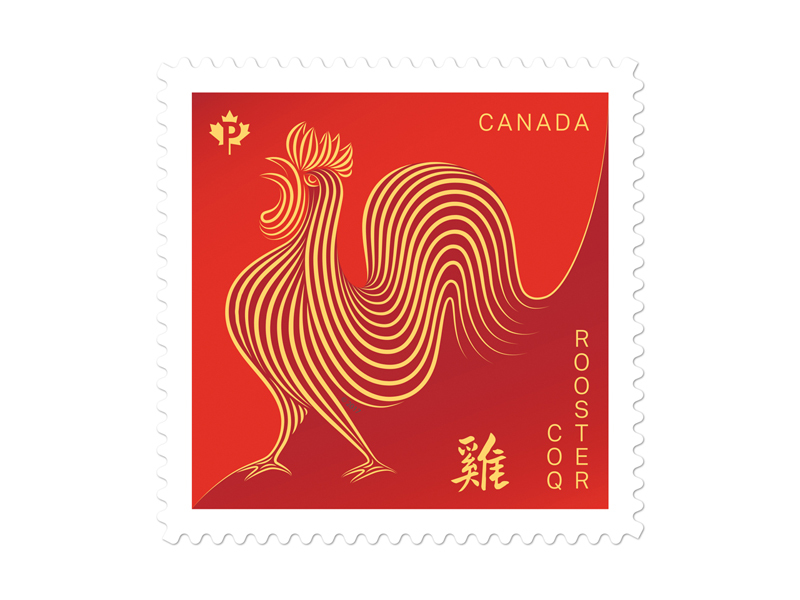 Both stamps feature calligraphy by Order of Ontario recipient Albert Ng. 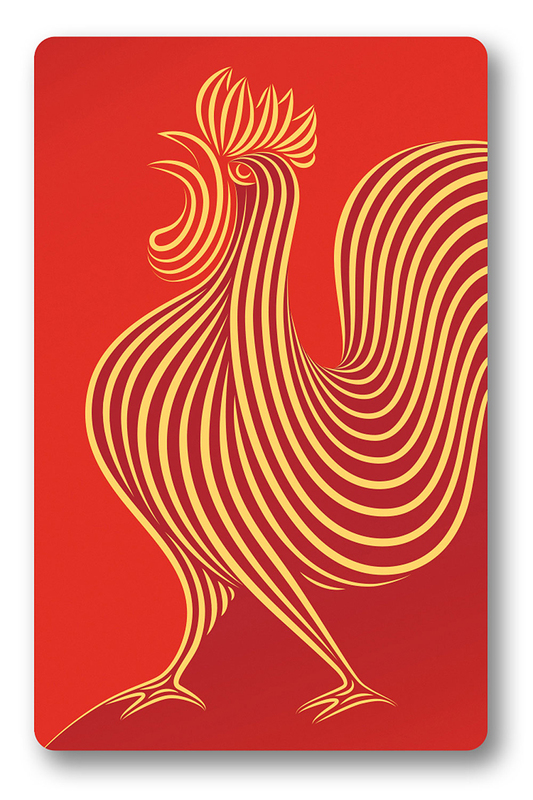 The departing monkey walks off the left side of the sheet while the arriving rooster walks in from the right. 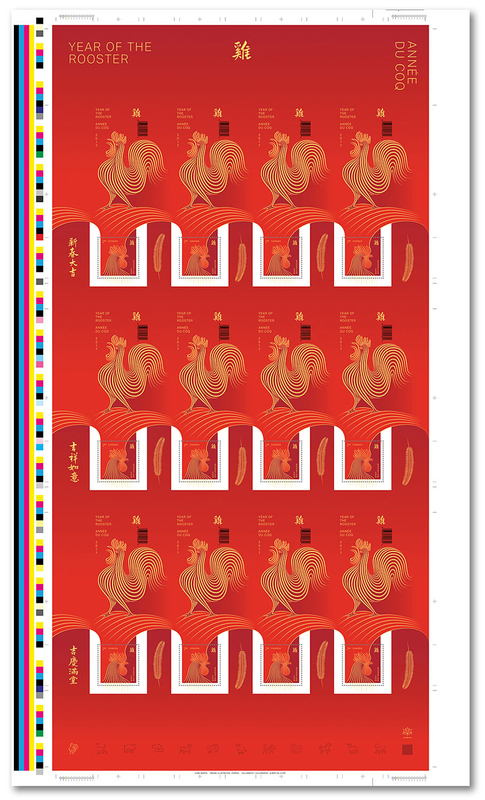 In each corner of the sheet, text in French and English marks each animal’s year.